Rosary Hall is an alcohol and drug addiction treatment center housed at St. Vincent Charity Medical Center in Cleveland, Ohio. The treatment and recovery center for persons with substance abuse problem has been around for decades; it was founded in 1952 or 66 years ago to be more precise. During this time, the staff at Rosary Hall helped thousands of patients overcome their addiction and improve their quality of life and overall health. It’s estimated that more than 60,000 men and women have been treated at Rosary Hall for drug and alcohol dependency. The center promises that patients and their families will find the road to freedom in a recovery process that is compassionate, comprehensive, and of an impressive quality. What’s interesting about Rosary Hall is that it’s the only treatment center in the whole area to provide a full spectrum of the most current treatment options ranging from detox to community-based rehab and medication-assisted treatments. Although the treatment center provides inpatient programs, the official website doesn’t provide info about accommodation and other housing options. What we do know is that the facility has 27 rooms. Patients share double-economy rooms that are purposely set up that way with the intention to allow people to socialize. One of the core beliefs at Rosary Hall is that a patient should not go through the treatment alone, everyone needs some sort of support, but that becomes even more important when they’re overcoming addiction problems. Sharing rooms with another person who is in the same situation allow patients to support one another. Of course, there are single rooms as well. Single rooms are reserved for the most severe cases. Like in other treatment centers, meals are served in the cafeteria, but patients are also encouraged to take food they like from the kitchen too. The facility also has a 24/7 coffee and juice bar. As mentioned above, Rosary Hall is the only drug and alcohol addiction treatment center in the whole area that provides a full spectrum of different treatments. Before recommending the adequate treatment, Rosary Hall staff evaluates patients during a face-to-face session. The main purpose of the evaluation is to determine the severity of addiction in order to allow a patient to undergo the right treatment option. Due to the fact that the effective treatment requires multiple steps, Rosary Hall provides a continued care for the patients. This care involves 12-step, abstinence-based model. Every step of the way is made easier thanks to the wonderful team of nurses, physicians, nutritionists, counselors, therapists, social workers, case managers, recovery coaches, among others. Rosary Hall is a part of St. Vincent Charity Medical Center whose mission is to care for patients regardless of their ability to pay. The treatment center accepts both cash and self-payment options, Medicaid, Medicare, private health insurance, federal, and any form of government-based funding for substance abuse programs. The official website features Financial Assistance section where patients can apply for the chance to have the treatment center help with the costs of the treatment. Patients without any third-party health care coverage are eligible for free or discounted care. To get more details about this option make sure you contact Rosary Hall. The official website doesn’t provide detailed information about licenses and accreditations. However, co-directors are certified by the American Society of Addiction Medicine, but based on the experience of staff it’s safe to expect a lot more accreditations that should be displayed on the website. Rosary Hall helps patients overcome substance addiction by allowing them to undergo an effective, customized treatment where they receive much-needed support and guidance. As far as amenities are concerned it’s important to mention that Rosary Hall provides multiple payment options, offers a chance for low-income patients to get necessary treatment, and it customizes treatment based on the exact needs and severity of addiction of every patient. Even though there is no dual diagnosis treatment, Rosary Hall also has psychiatrists in the team. These psychiatrists specialize in mental health disorders and help patients improve their emotional and mental health and wellbeing which is important for recovery. Rosary Hall involves a team of highly-skilled professionals with impressive experience in the treatment of addictions. The team includes 18 to 22 staff members, three LCSWs, five licensed clinical nurses, and a recovery coach. The website reveals the names of two staff members that work with patients who are treated at Rosary Hall. Dr. Chris Adelman is a co-medical director of Rosary Hall who attended undergraduate and medical school at the University of Oklahoma from where he moved to Cleveland. 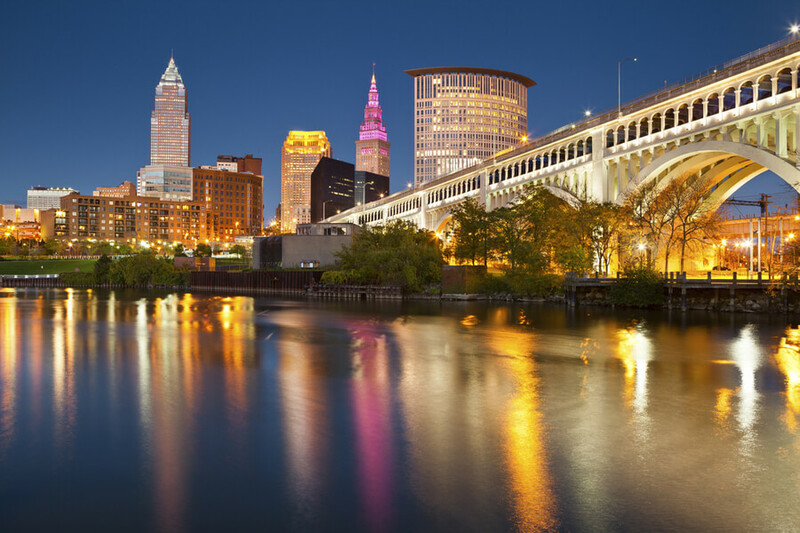 Together with his associate Dr. Ted Parran, Dr. Adelman provides addiction services to Harbor Light, Cleveland Treatment Center, Windsor-Laurelwood Hospital, Stella Maris alcohol and drug addiction treatment center, and many other treatment programs in Ohio. Dr. Ted Parran is a co-medical director of Rosary Hall who pursues several areas of special interest in medical education such as doctor-patient communication, faculty development, and addiction medicine. In 1987, he received the Outstanding Faculty Teacher Award from the Department of Medicine in Baltimore City Hospital of Johns Hopkins University School of Medicine.